The amazing Tori Rubin answered some questions regarding the success of her not just one – but two worlds teams! See the bottom of this post for links to their INCREDIBLE performances! 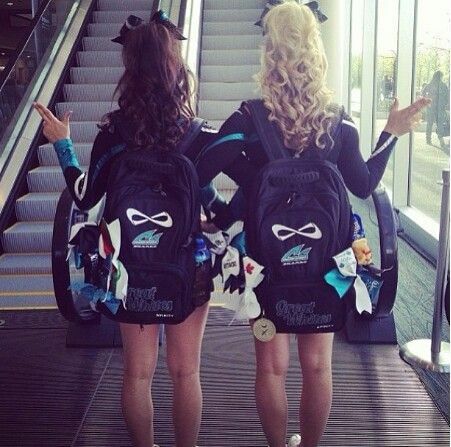 How did it feel when you first won your bid? Ruby won their bid at ICC Nationals in 2014, in our first ever Nationals as a level 5 team. It was incredible feeling to not only win a National and Grand Champion title, but to also win one of the coveted Worlds bids, there were alot of tears!! 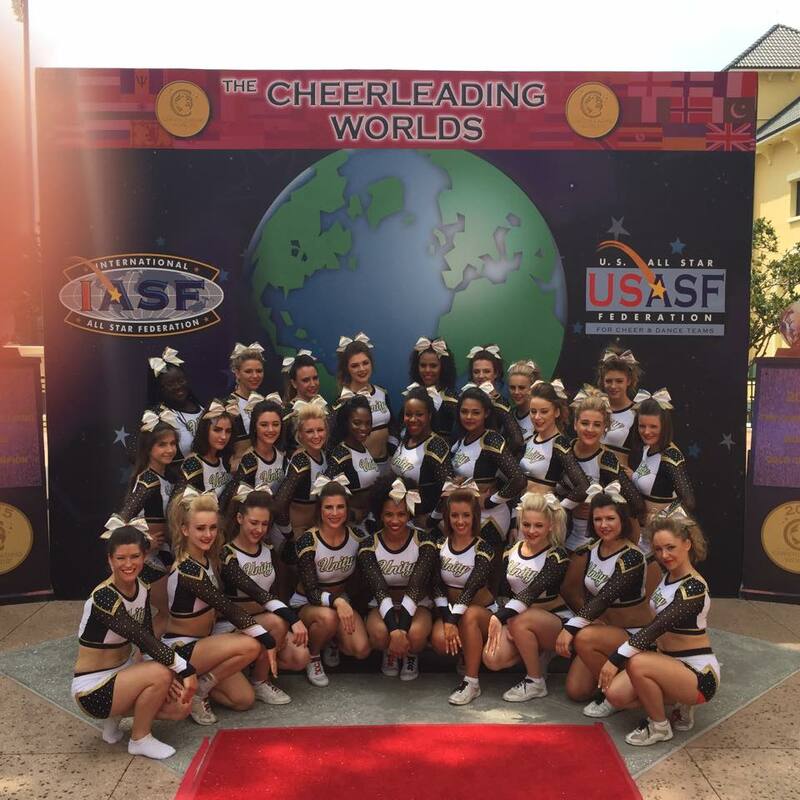 Black won their bid at FC Nationals July 2014 in their first ever competition as a coed 5 team. We had just returned from placing 6th in the IOC6 division at the World Championships and decided it was time for a new challenge. It was fantastic to win a bid at level 5 and have the chance to compete in a whole new division. How often did you train in the lead up to Worlds? Ruby train 6 hours a week and Black 4 hours a week. We had a few extra training sessions before we left, and then once we arrived we trained 3 hours on the Monday, 3 hours on the Tuesday, 2 hours on the Thursday and 2 hours on the Saturday. We also had a twenty minute practise slot at the Wide World of Sports on the Thursday on the Worlds warm up floor. Planning an international trip for so many people is always tricky, where did you start? It was very difficult this year as we were travelling with over 70 people. 60 athletes and coaches and 12 spectators, as well as another 20 spectators who met us out there. The organisation was very stressful and time consuming and we had a few issues whilst we were away, but generally the planning paid off and it all went really smoothly. It was a really different experience having two teams, not only because of the number of people and training two teams, but because of the age range. Black in the past had always been an adult team but now we had athletes as young as 13 making the dynamic very different. However it was so much fun with more people, it was a really enjoyable trip and experience. What facilities did you practice in over there and what were they like? 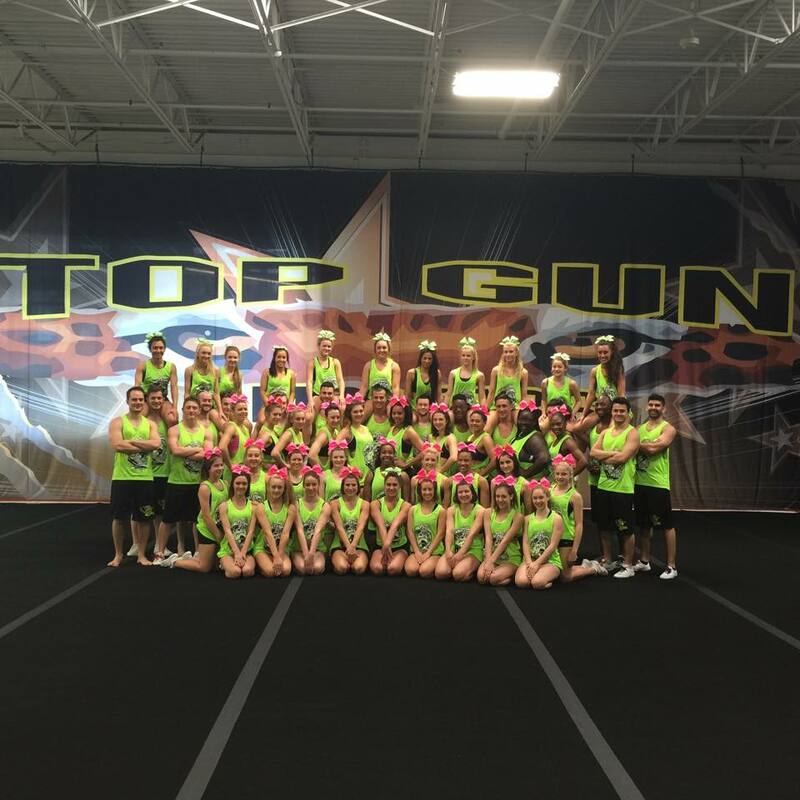 We trained at Top Gun in Ocoee, it was an awesome facility, 4 sprung floors and a dead floor and a great Pro shop!! A few injuries as expected, but no major dramas thankfully! What was your favourite part of your road to worlds? Training on the worlds warm up floor on the Thursday for sure. It’s such as exciting time, everything is still to play for and that is where the Worlds buzz really begins! If you had to describe your experience in one word, what would it be? Humbling – representing our country with not one but two incredible teams! If you had to describe you team in one word, what would it be? 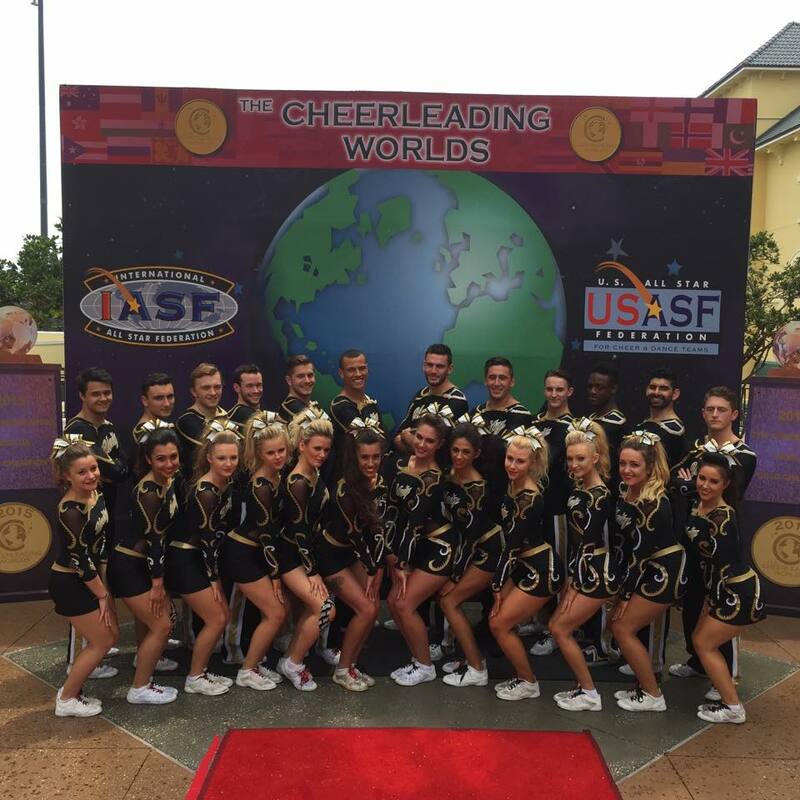 Unity Black Finished 13th in International Coed Level 5! Unity Ruby finished 8th in International Open Level 5! 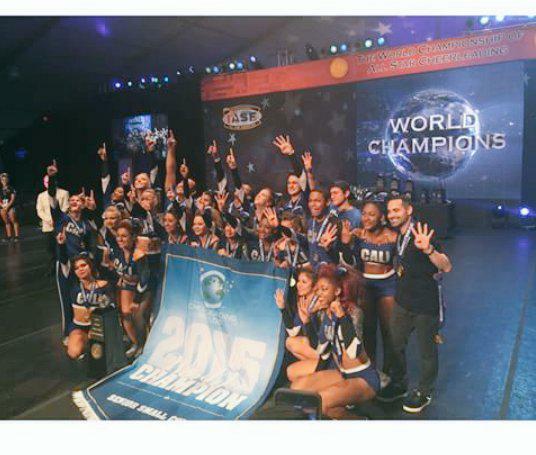 Congratulations to Unity Allstars, their coaches and their athletes! Thank you for making the UK Proud and continuing to be an inspiration for UK cheerleaders and teams! We look forward to finding out what’s next on your horizons! ← Celebrity Dream Cheer Team – Our top 10 ex-cheerleaders who should combine to make a celebrity cheerleading squad!